Just in case you haven’t seen it on Facebook, we are expecting baby number 6! We are thrilled about it. Something I have noticed though is that as soon as you find out you’re expecting the next question is “when and how should we tell people our happy news?” Most people and pregnancy books will tell you that you should wait until after the first trimester to tell people, that way you will have a very low chance of miscarriage and can share the happy news without the threat of something bad happening. That sounds so simple, right? However, it is not always that simple in real life. We have 5 kids. 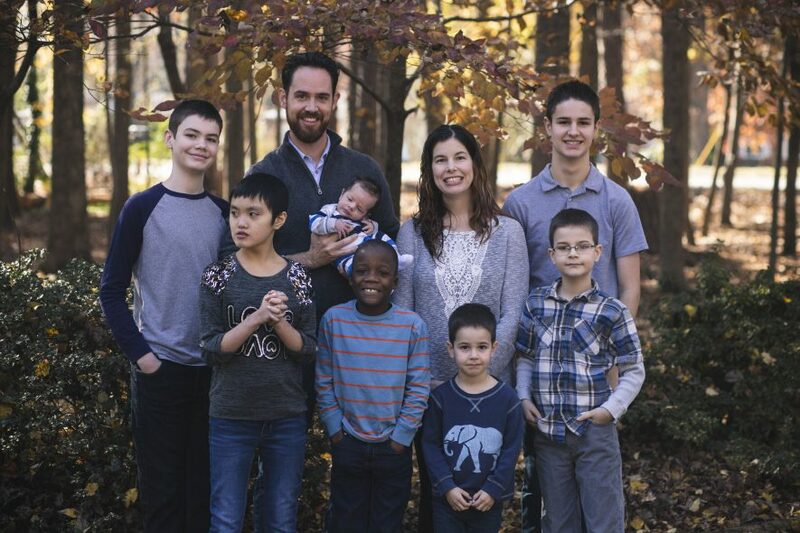 Two were adopted and three were biological kids. My first two pregnancies were uneventful and produced two healthy little boys who are now 7 and almost 10, next week. We were naive and really never expected that when we found out we were expecting baby number three in July of 2008 that anything but a healthy baby would result, 9 months later. We had our first ultrasound and everything was great, we went to a few doctor’s visits and the pregnancy was going so well, then one day we went to a routine visit at 15 weeks and found out the baby had died. We were past the first trimester when miscarriages are supposed to happen, how could this happen? We were shocked. What we learned from that experience and then also from our next miscarriage the following year at 9 weeks, was that things don’t always fit into neat little boxes. Sometimes the worst happens and at that time you need people around you to get you through it. Had everyone not known that we were expecting those two babies they would not have been able to then grieve with us when we lost them. You have to risk and let people in, so that you will not be alone when something bad happens. We had always told people about our pregnancies as soon as we found out we were expecting, which for us is usually around 4 weeks. People warned us and said you shouldn’t tell people that soon, what will you do if something happens? Well, something did happen, twice, and we were glad we had those around us to support and love us as we grieved. I wouldn’t change a thing about it. In July 2010, we found out we were expecting baby #4. He was a surprise because I had declared I could not handle being pregnant again and possibly going through another loss. God had other plans and we found ourselves expecting. I was so nervous, and as I wrote about in another post this week, I didn’t find any joy in expecting Elijah because I was too sacred of loosing him. We went on to have a healthy baby boy who is about to turn 3. I realized that this time I needed to own this. I needed to be happy and excited about being pregnant, if we were blessed with another child, and not worry about what the future may hold. That is easier said than done, I will say. We are still nervous, I wonder each day as I wake up whether something bad might happen with the pregnancy today, and I thank God that I am still pregnant that day. What I realized with our losses is that while I will never get to meet those two babies here on earth, someday I will in heaven. This child I am carrying I pray I will get to hold and love for years to come, but that might not happen. I don’t know. But I do already know that I have 8 children. Whether I carry this child to term or not I will always have 8 and I will get to meet them all someday. This child is no less mine, just because he or she isn’t born yet. So, we decided to tell people we were expecting even though it is early in the pregnancy and we don’t know the outcome. Whether we are pregnant for one more hour, one more day, one more week, one more month or until November and we get to hold this precious little soul I do not know, but we will be glad about it today. We will live in this moment and be joyful. God alone has this in his hands and I cannot do anything to change the outcome. So, I think that when you tell people you are expecting is a personal choice. There is not right or wrong. But from my experience no matter if I am rejoicing or weeping, I want those around me to know about it so that they can rejoice or weep with me. Today I rejoice with you!! Congratulations! My love and prayers are with you all! I really needed this message this AM. Thank you so much for this! Many Blessings!